Lifelong buddies Willie (Morgan Freeman), Joe (Michael Caine) and Al (Alan Arkin), decide to buck retirement and step off the straight-and-narrow for the first time in their lives when their pension fund becomes a corporate casualty. Desperate to pay the bills and come through for their loved ones, the three risk it all by embarking on a daring bid to knock off the very bank that absconded with their money. Get ready for the grandfather of all heist films! 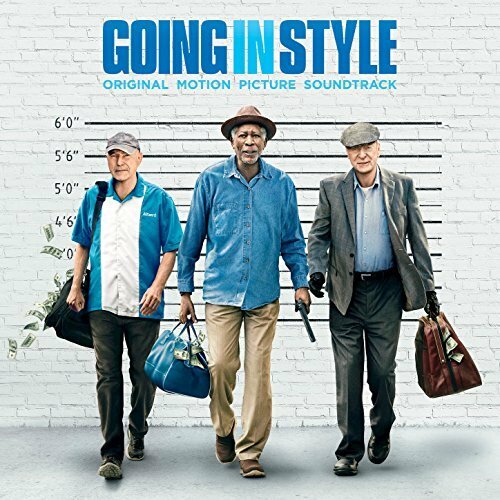 The movie soundtrack of Going in Style will be released on March 31, 2017 by WaterTower Music.